When two movies come out at the same time, suffer from many of the same flaws, and both make you want to never see another film from their creators again, it only makes sense to group them together. First up is Don Verdean, a film from the director/writer duo of Nacho Libre and Napoleon Dynamite. Second, the Netflix-exclusive Adam Sandler movie The Ridiculous 6. Directed by Jared Hess. Produced by Brandt Andersen, David Hunter, Jared Hess, and Jason Hatfield. Written by Jared Hess and Jerusha Hess. Release date: December 11, 2015. 2015 hasn't been a very kind year to the director-writer duo Jared and Jerusha Hess. Earlier in the year they had their film Masterminds pushed back over a full calendar year, and now they've released Don Verdean, which has been saved of the misfortune of being their worst film only because their filmography also includes Nacho Libre and Napoleon Dynamite, two of the sorriest excuses for comedies since the turn of the century not brought to audiences by Adam Sandler (although more on him later). Don Verdean wishes to be a satire of American church culture. 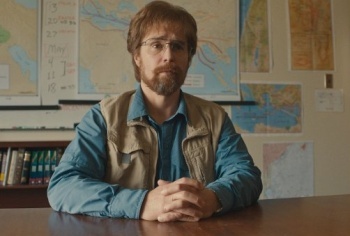 Its lead is Don Verdean (Sam Rockwell), a biblical archeologist whose findings - mainly the shears believed to have been used to cut the hair of Samson - have inspired tons of people and reinforced their faith in the religion. He's fallen on some hard times, but after being bankrolled by a church run by Tony Lazarus (Danny McBride), he manages to fake his way back to the top - by forging discoveries. Unfortunately, that lie grants us a traditional "in too deep" story, one that becomes boring very fast - all but ensuring that the film's initial satirical premise gets lost in the process. 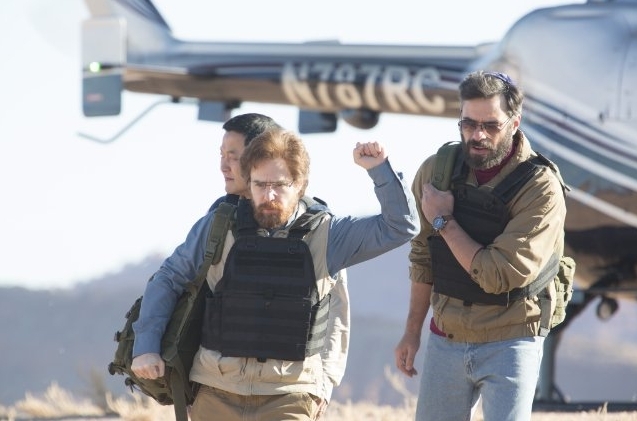 Basically, what we get to see is Don Verdean lying to people, the masses eating it up - except for the film's villain(? ), a rival Pastor (Will Forte) - and the stakes continuing to be raised with each lie. The plot is conventional and has very little happening, the characters are paper-thin, and - most importantly - it only contains a couple of chuckles when it comes to the comedy aspect, which is the most important part of a comedy. It wastes its talented supporting cast, instead of being an actual satire it mostly just points and laughs at blind followers, and it lost any interest I had it in it early on. But, then, this is what these people do. They open with promise, employ a pretty strong cast, and then just repeat the same things over and over again - jokes that weren't even that funny, clever, or insightful in the first place - to the point that it's insufferable. By the end of Don Verdean - or Nacho Libre, or Napoleon Dynamite - it's almost impossible to care whether the protagonist fools the masses, dies, wins the lottery, commits all seven deadly sins in one act, or becomes Jesus Christ himself. Complete and utter apathy is the only reaction possible to the films by the Hesses. Well, that and boredom. It's downright criminal how badly they waste talents like Sam Rockwell, Amy Ryan, Jemaine Clement, Danny McBride, Leslie Bibb, Will Forte, and Steve Park. Sam Rockwell is one of the best (and underrated) actors currently working, and here he's saddled with playing a character who has nothing to him. Amy Ryan plays his assistant, which means that she has even less to do. Danny McBride, Jemaine Clement, and Will Forte have characters that could've been great, but instead are handfuls of nothing. 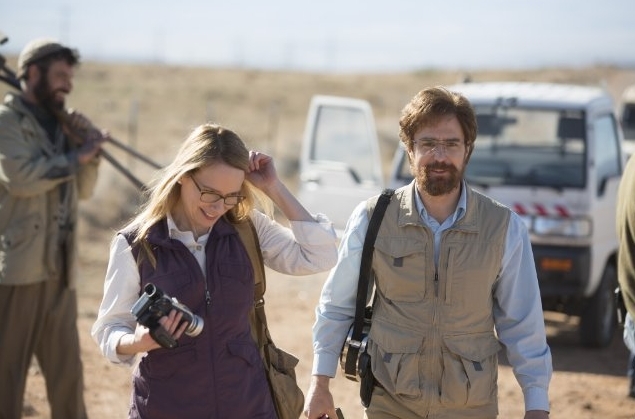 The films of Jared and Jerusha Hess are some of the most "nothing-filled" projects out there, and Don Verdean proves to be no exception. With the bare minimum of a plot, a waste of talent and premise, and only a couple of chuckles in a 90-minute film, Don Verdean is a terrible movie. 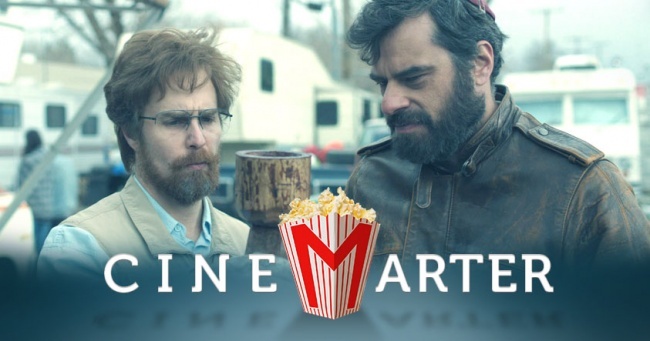 Bottom Line: A waste of talent and a waste of time Don Verdean is an awful attempt at comedy. Recommendation: If you liked Napoleon Dynamite and Nacho Libre, well, here's another one of those. Also, explain yourself.